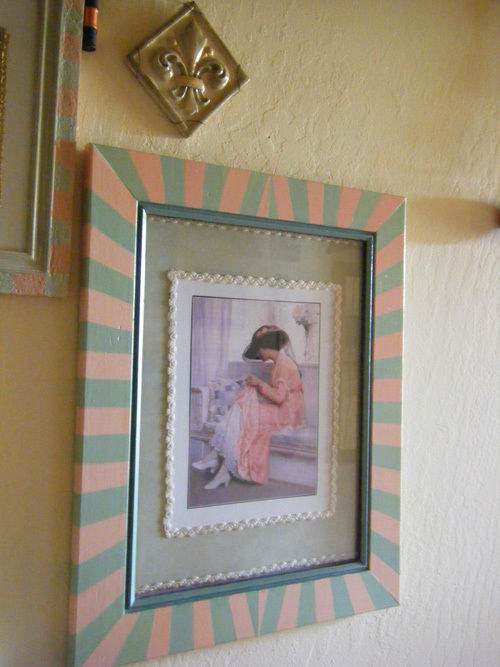 A picture frame has the function of exhibiting an idea. It keeps the viewer’ eye inside of its borders without letting the surroundings distract his/her fantasy. A picture frame also functions as a curtain over a stage, which like a theatre play will immerse the viewers in the mind of the artist. 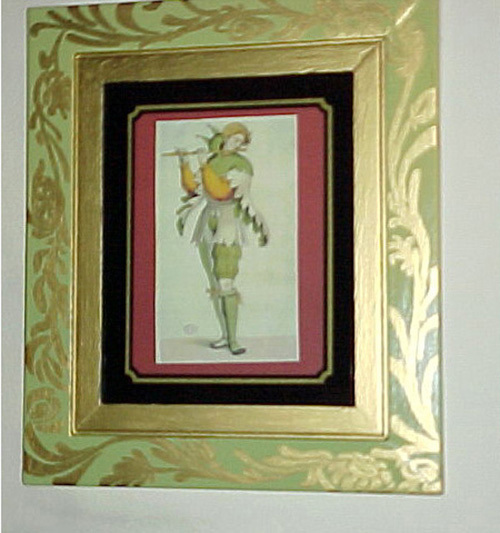 A picture frame must not attract attention to itself, it must be decorative enough to embellish the artwork and complement it, while remaining in second position. Gold, silver, black, white or natural woods are generally the frames most used to dress an image and to stay behind the scene, sort of speaking. (Click each photo to view it larger). What if you have an interesting image you want to frame regardless of the intrinsic value? Or what if you went to a second-hand store and found the perfect frame for an art piece you painted yourself? In both cases you might want to treat the frame as the dress for the image. Decide which is the colors inside of the image you like to pick up and carry it on the pass-par-tout (matt) and on the frame itself. The result will be a very decorative and original piece for your wall. 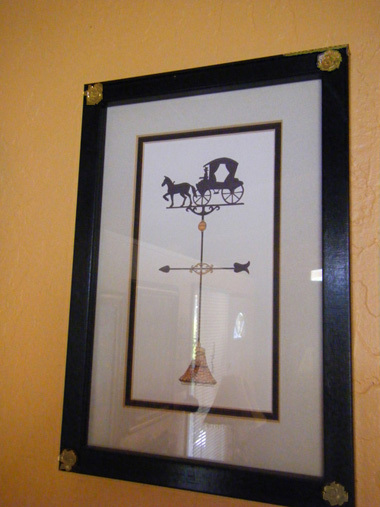 The procedure to decorate a frame in your style is very simple. You must first decide if you want the frame to show the wood grain, or if you want to paint the frame in color. If you have a frame in natural wood and want to keep it natural, then you only need to use a clear, non-yellowing varnish, or perhaps use a varnish with a wood tone color, such as Mahogany tone, cherry wood tone, oak tone and much more. Let it dry, add the image and nothing needs to be done. Wash your brush in water when using a water base varnish; for oil-based varnish, use turpentine to wash your brushes. The challenge comes if you wish to have a colored frame. Don’t le it scare you though, painting a picture frame is a fun project. First choose the color, based as I said earlier, on some color details inside of the image. If the frame is used, from a flea market, you need to sand off the original color almost to the bare wood. Paint a white base coat to cover all wood imperfection and then apply a coat or two of the color of your liking. Acrylic or flat latex paints are both good choices and the brushes used for these paints are washable in water. Now, you might want to leave the frame with a couple of paint coats, or continue to further embellish it. If you look at my minstrel image (above), you will notice that the frame picks up some colors of the image. 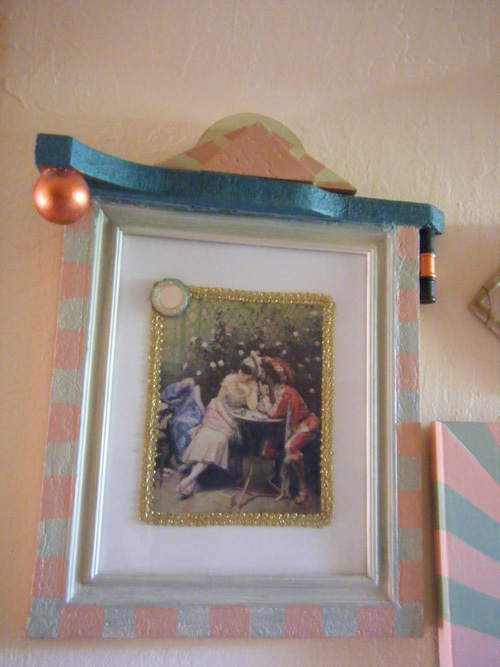 To add some depth and interest, I also added some gold design on top of the frame painted Chartreuse green. That detail came from a photo of a medieval fabric, just to be in tune with the subject, I outlined it free hand on the frame and then painted the lines in gold with a small brush. I painted the frame black to echo the black and white silhouette of the subject and added some bronze color rosettes in each corners to also echoes some bronze details in the weathervane sketch. The striped frame picks up the color of the lady’s dress. Green, opposite to pink on the color wheel is the perfect complement. To paint this frame, I calculated first how many stripes I wanted, divided the length of each side by the number of stripes; with pencil and ruler I marked the space, then I painted all the pink stripes followed by the green stripes. Aside from these examples, you can attach many objects to a painted frame as your fancy strikes and really show your creativity. Looking at artwork made by masters it puzzles me to see how perfect anonymous people have framed famous art for centuries, making it appear as the art and the frame were born together. When you will design your artwork and the frame to go with it, your creation will be twice as much as precious. The fall brings a new energy, new light and new color, a home should reflect the change in nature. This is the right time to ask me for advice on how to bring that new energy to your surroundings. Ciao. Beautiful frames! I have a frame fetish and am constantly looking for older ones at second hand stores. I do too Judy. I just bought one today that looks like a ballerina waist. It will go to my niece. Beautiful Art pieces and the frame compliments them so well. Thanks. Thank you so much, I love your color choices in your posts. Amy, those picture frames in my blog are in fact in my home. I have done the artwork and the frames. Thanks so much for the follow and all of your kind comments! 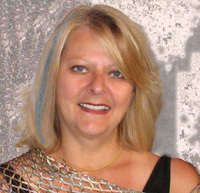 You have a lovely blog and I look forward to following you as well! You look like a fun person, so I follow you. You are right, Sindy, matting is one the parts important for a good framing result.